Zuri Group is excited to announce that John Auwaerter has joined the Zuri family as Senior Technical Consultant. John brings with him over 20 years experience working with non-profits in IT, and is the leading subject matter expert in infrastructure, application, and database management. 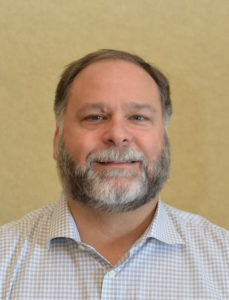 He specializes in installation, configuration, and optimization of all Blackbaud software (including CRM and all “Edge” products), Microsoft platforms (Windows Server, SQL Server, IIS web servers), VMWare, Citrix, firewall and network configuration, and other third party and cloud infrastructure providers (Azure, AWS, Rackspace, etc.). He has worked as Infrastructure Architect and Lead Technical Consultant for hundreds of organizations – including World Wildlife Fund, Memorial Sloan Kettering, and Ohio State University. He also oversees the internal IT operations for Zuri Group, and the website hosting services operations of the Zuri Group Digital team. John has a bachelors degree from Rutgers University and has obtained various IT industry certifications. In his spare time John enjoys swimming, cooking, and playing guitar and bass. Getting the most out of your database.